Campaign Name The name of the donation campaign. External Name Name to be displayed on the internet. Campaign Starts Ends The time period that the campaign is running. Ticket Face You can select a ticket face to be used for donations. Click the Ticket button to open the Ticket Face List window. The ticket face to be printed for a donation receipt. This function can only be utilized by thermal ticket printers. Notification The notification type that you would like to be sent out for this campaign. Click here for more information on setting up Workflow Notifications. 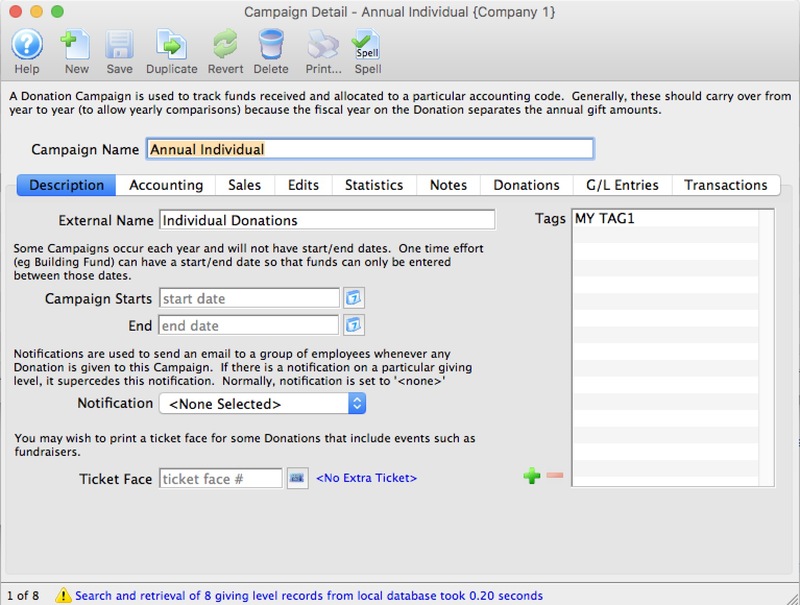 Tags You can add any number of tags to the donation campaign.